Hi everyone and welcome! 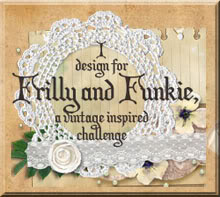 Today sees the launch of the latest challenge at A Vintage Journey called 'Winter Magic'. Our host for this challenge is the wonderful Deb Riddell. Here's what she has in mind for this theme; "For us in the northern hemisphere December brings the start of winter and for many that means freezing cold weather and Christmas. But winter is so much more than that and so we ask, how would you interpret the magic of winter? Snow, icicles, colours of blue, silver and white, the festivities of Christmas, misty winter landscapes; show us what your magical focus is for the season and in a vintage; shabby; mixed-media; art journaling; industrial or steampunk style." This month we are sponsored by Country View Crafts who have generously offered a £20 voucher to their online store for a randomly drawn winner. And three hand picked Pinworthies will be offered the chance of a guest appearance for a later challenge, so there's plenty of reasons to join in. And now here's my own take on 'Winter Magic' - a canvas celebrating the magic that nature itself creates at this time of the year here in the UK. For me the beauty of this season extends beyond the sparkling lights, trees and tinsel. The last traces of fallen leaves caught beneath a snow/frost laden carpet, and revelation of weather-beaten structures, unburdened by much of the usual floral and fauna, are as magical as any festive decorations. I started with the base of this deep edged canvas, randomly adding layers of Gathered Twigs, Hickory Smoke, Ground Espresso and Walnut Stain Distress Paints direct to the surface to get a look of dark soil. Next I applied a patchy layer of Texture Paste, leaving some of the 'soil' exposed on the edges, and stamped into it with the Tim Holtz 'Leaf Prints' stamps (mist them with water to ensure they release from the paste). When dry I restamped into the leaf impressions with the same brown shades of Distress Paint to make them stand out, and finally added a thin layer of white gesso to give the impression of frost on top of fallen leaves. With that the background was complete. The colours mentioned by Deb in her description included blue, white and silver, and as luck would have it I picked up an old blue bottle at a vintage market in Retford recently. It still has the chips and grime of ages past, and with the addition of some Remnant Rubs (from the Elements set) a few dribbles of Ranger's Pearl Alcohol Ink Mixative, some twine and wire wrapping, and Tim's Festive Idea-Ology charms, it was the perfect match. Of course it would have looked weird just sitting in the middle of the canvas so I added chunks of canvas stretcher wood, dowsed in Iced Spruce Distress Paint, dripped with gesso, Pearl Mixative and Espresso Alcohol Ink, and stamped with numbers from the 'Sideshow' set in Cornflower Blue Archival Ink. Obligatory rusty nails, Idea-Ology Nail Heads, and a sentiment from the Small Talk Occasions set adorned the 'fence' beautifully but it also needed a few more leaves. To get that crunchy texture I quadruple embossed some card with Ranger's Snowflake Embossing Tinsel and stamped into it with one of the 'Leaf Prints' using Potting Soil Archival Ink. If you stamp and fussy cut the card first you get the perfect shape too. So that's where this month's fabulous theme took me. Now I urge you to hop on over to A Vintage Journey to see what my fellow Creative Guides have come up with - it's well worth the visit! Then it's over to you - the challenge will remain open for a month so there's plenty of time to get those creative juices flowing and link up your entries to be in with a chance to win. And how exciting! I've just discovered I won last month's top spot over at Creative Artiste Mixed Media Challenge #20 for my vintage lace/rusty canvas!!! Thank you so much to the team for awarding me this honour. Such a lovely take on the challenge. Love the way you say hello to winter and good bye to the fall colors. This is an absolutely wonderful canvas! I love these colors, the pale and the snow crusted leaves, the bottle and the whole composition you put together. Great job! This is an amazing creation! I had a good look at all the details and I am admiring your creativity! Beautiful! I love the random effect of the layered bits to create your fence. The bottle is beautiful! This is a knockout. I saw the background come together but never imagined the bottle you picked up when we were in Retford would take centre stage on this beauty. It is perfect and goes so well with the wooden bits and the rusty nails. I just had to order that leaf stamp set after seeing you use it in so many unique ways - thanks for enabling. Oh my giddy aunt! STUNNING!!!!! I absolutely adore this work of art Jenny! Absolutely stunning, Jenny - beautifully put together from the leafy background to the layered icy shards and finishing with that wonderfully adorned bottle. I've got a whole hoard of tiny vintage bottles, some of which have made it into crafting, and others which I can't bear to alter! This is brilliant inspiration to take the leap. I know I must have missed lots of treats here, but I'm looking forward to some proper catching-up time over the festive season. I adore your take on the theme Jenny, - what you say is so very true! Your make is original and fabulous, that bottle is the perfect focal point! Super make! The vintage bottle is perfect - great find!! And you surrounded it with just the right "accessories" too. This is really a wonderful creation Jenny. Love the message, the colors and I can almost feel the cold in the air. 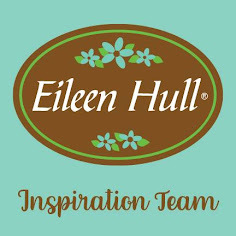 Thanks bunches for joining the Anything But Cute Rustic Glam Challenge! j.
FABULOUS and INSPIRING too Jenny! Jenny, every time I see one of your canvas', I fall in love all over again! What a beautiful depiction of fall melting into winter. It really seems to me as if the first dusting of light snow has fallen and icy puddles are left as the snow first melts then freezes again as the temperatures drop. Oh, so many details to love about this canvas! Thank you for sharing it with us at Anything But Cute. Hugs! Sara Emily DT And a huge congratulations on your win at Creative Artiste--so deserving with yet another stunning make! Oh Jenny - this has to be my most favorite make of 2016!!!! This canvas is really fantastic - the bottle is part of the mystery of frozen images that winter brings. Honey Child - you did yourself proud!! I love it!! So much texture! The leaf impressions in the "snow" really drew me in, I had to see how you did that! Absolutely wonderful! WOW, this is fantastic! Amazing background and wonderful details. What a super creation, lovely colours and so much dimension. 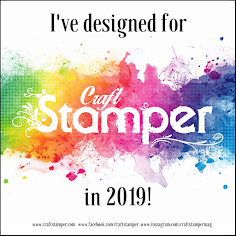 Thank you so much for sharing your lovely creation with us at Fashionable Stamping Challenges. Wow!! A creative masterpiece, Jenny, from the idea, to the design to the execution- faultless. Thanks so much for sharing all the fabulous detail, dimension and texture up close. Incredibly striking and inspiring!